Are you feeling confused about getting a self-employed car loan because you operate a business or offer professional services on freelance contracts? Well, it’s understandable because some banks and car dealerships always require car loan applicants to present copies of their paychecks. However, we offer car loans for self-employed people that are affordable and even available to potential car buyers with bad credit scores. 3. Do you need pay stubs for an auto loan? Yes! 4. Apply for a Loan today! Self-employed individuals with excellent credit scores qualify for brand new cars after receiving auto loans. A brand new car enhances your first-impression when meeting with new clients, suppliers, and other stakeholders. You also receive value for money because the car engine is in excellent condition. On the other hand, if you’ve just come out of a financial crisis and need a basic car, you can buy a used car. The best options are Certified Pre-Owned Cars because auto manufacturers do full repairs before reselling them. Plus, you receive a warranty unlike purchasing a used car from a private seller. Did you know that the CFPB approves loans for the self employed? This means that when you apply for one, the creditor opens a new credit record in various credit reference bureaus nationwide. Paying your auto loan installments on time contributes to 35 % of your total credit score. That counts a lot when repaying a secured debt. You’ll realize that your new credit score is way higher than your initial one when applying for your loan. This is actually a great option for potential car buyers who’ve just come out of debt consolidation programs and desperately need better credit scores. 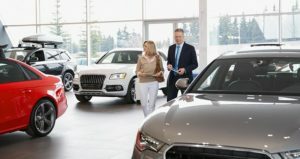 Due to wrong assumptions, some self-employed people fear to buy a car because they are afraid of placing their investments or homes on the line. Truth is, banks and car dealerships only need you to submit proof of income and pay the required down payment. Your down payment acts as collateral when receiving a no income verification car loan. Creditors also demand your bank statements and proof of income in order to place standing orders. This ensures that you pay your auto loan installments on time without requiring follow-ups. This is another area where many people tend to assume rather than research. In fact, this ignorance on how a car loan with no job works enables shady creditors to exploit ignorant car buyers with ridiculous interest rates. Moreover, if you get and pay up a Self Employed Car Loan from an unregistered creditor, your credit score doesn’t improve. Complete Auto Loans ensures that you can get a car with w2 that corresponds to your credit score. Even the interest rates for bad credit auto loans fall within the CFPB’s recommended range. In fact, all you need to do is use the car loan calculator to see your monthly payments. What is car loan refinancing? It’s whereby a creditor clears your outstanding auto loan balance on your behalf then you repay this debt under new terms. You can seek car loan refinancing from a different bank or get it from the same car dealership that provided your auto loan. Why is car loan refinancing important? Because it helps you to retain your car when facing temporary financial challenges. An auto loan refinancing plan enables you to request for lower monthly installments to suit your new monthly income. The car dealership or bank will simply give you a longer repayment period. Complete Auto Loans still offers Self Employed Car Loans to debtors who’ve survived bankruptcy. If you’ve just come out of bankruptcy, you’ve probably been rejected when applying for ordinary car loans due to a poor credit score and bankruptcy record appearing in your credit report. 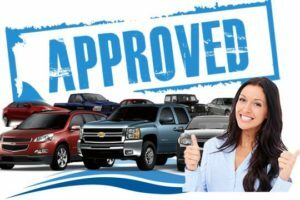 Complete Auto Loans offers reasonable interest rates and repayment periods because they know that you need professional help to rebuild your credit score. Moreover, the process is short because you need a car urgently to support your professional life. In fact, finding a no proof of income car dealership enables you to directly rebuild your credit score because your payment history counts. A loan without income proof enables you to have your own personal car for private use. It’s wrong to use your business car to drop off your kids to school or go on road trips. You end up misusing fuel meant for customer deliveries and this forces you to spend extra money that you hadn’t budgeted. If you get into an accident and the auto insurance company realizes that you were using the business car for personal use, guess what? You don’t receive any compensation because you violated your insurance agreement. That will force you to incur all repair costs from your own pockets. Sometimes, businesses get into off-peak seasons and cash flows slow up. If you operate in such an industry, you may experience a few challenges keeping up with your car loan installments. Skipping payments is bad because you risk losing all the progress gained while paying your previous installments on time. When it comes to Self Employed Car Loans, creditors usually understand high and off-peak seasons. You can avoid late payment fines by visiting your creditor in advance then request for longer time to pay your installment. Some creditors will even allow you to skip two monthly payments then they’ll adjust your next installments upwards to include missed payments. Asking for a longer deadline or skipping a couple of payments don’t affect your credit score or payment history. The CFPB gives you the right to negotiate with your creditor. The law forbids creditors from offering these loans to debtors below 18 years old. While some states allow 16-year-olds to apply for driving licenses, banks only allow 18-year-olds to open bank accounts. You need a bank account for your creditor to deposit your auto loan. Minors cannot get these loans because all credit laws and penalties currently relate to adults. If minor signs for a loan and skips a payment, the court will nullify the loan because the creditor knowingly offered credit to an underage debtor. A Self-employed auto loan is a form of secured debt. Your credit provider needs to assess your risk level by looking at your credit score and history. Smart borrowers download their credit reports before applying. Why? Because a creditor has the right to retain application fees when an applicant with insufficient credit ratings applies. Downloading your credit report in advance will help you save hundreds of dollars. The average application fee ranges from $500-$700. FICO offers free credit reports 24/7. Banks need sufficient proof of your ability to pay auto loan installments on time. Some creditors require Self Employed Car Loan applicants to present bank statements for the past six months. This enables them to determine whether you make money consistently or operate in a seasonal industry with high and off-peak seasons. Creditors also require proof of income to calculate your average monthly income. You’ll also present 1099 tax return forms. Some creditors ask for tax returns for the past five years while some request for three. Your tax returns verify the income presented in your personal bank statements. What is a net income? It’s the amount left in your monthly income after paying taxes. Banks and car dealerships assess debtors’ net incomes to determine long-term risks. A high net income indicates your ability to pay auto loan installments on time even when you decide to borrow bank loans or buy a bigger house through mortgage financing. If you do a little window-shopping, you’ll realize that the average net income requirement is $1,500 monthly. Borrowers with subprime and poor credit scores need a higher minimum net income ranging from $1,800-$2,000. Any Self Employed Car Loan provider needs to verify your identity before depositing the money in your bank account. It prevents identity thieves from buying cars using false identities. A creditor also verifies information to prove in a court of law that they did thorough due diligence before lending to you. You’ll provide certificates of registration to prove that the business is registered in your name. Creditors will ask you to provide your landlord or apartment manager’s phone number to confirm whether you actually reside in the address stated in your application form. You’ll also attach photocopies of recent utility bills. In some cases, you’ll need to produce copies of recent mortgage payments. This may seem intrusive because you never know who’s going to show up at your doorstep. However, creditors need this information in case they have to do repossessions. It’s also a safety measure against fraudsters who apply for auto loans using fake background information. Why is it necessary to bring a cosigner when applying for a Self-employed auto loan? If your credit score is below 500, the law requires a cosigner to compensate for this low credit rating. This policy also applies to potential buyers who’ve recently come out of bankruptcy. Cosigners need to possess excellent credit scores and high net incomes. If you’re in college or in your first job and you have a shallow credit history, you’ll need a cosigner. Why? Because most creditors trust debtors who’ve had excellent payment ratings from mainstream banks and credit card providers. The government requires individuals who’ve recently come out from bankruptcy to file motions in court when applying for loans. You can represent yourself in court or hire an attorney since they have adequate experience in filing bankruptcy related motions. The good news is that it costs less than $500. Creditors need this legal approval to prove whether you can sustain payments until the repayment period elapses. In case a debtor skips more than two consecutive payments, the creditor can repossess the car promptly. Car repossession ruins credit ratings terribly and remains present in credit reports for more than five years. Every year, credit institutions and banks lose hundreds of thousands of dollars to serial defaulters with nomadic tendencies. If you just relocated to a new city or federal state, a creditor will request for a recommendation letter. It shows that there are respectable community members who can vouch for you. 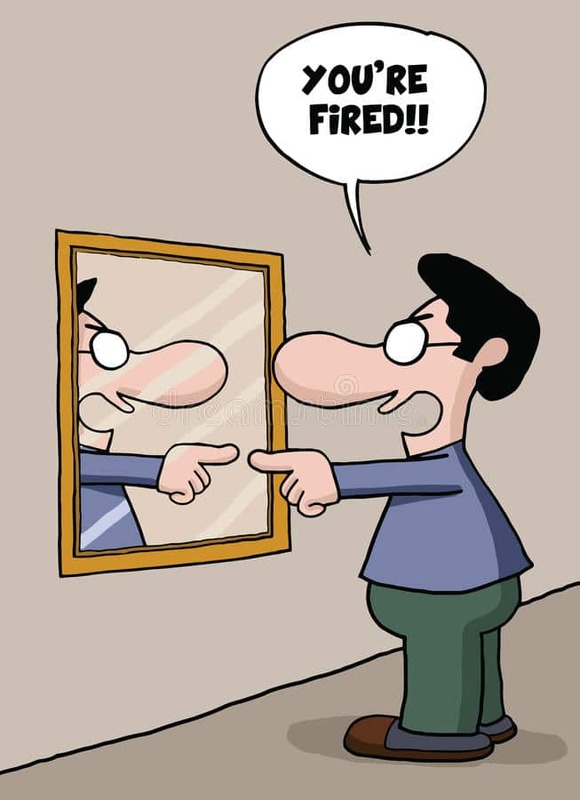 You can obtain a recommendation letter from your residential committee chairperson, respectable community workers, politicians, and religious leaders in that particular area. It’s illegal to obtain recommendation letters from your clients, landlord, or suppliers because pre-existing business relationships compromise the integrity. In order to verify identities and credit risks, some creditors only provide Self Employed Car Loans to applicants who’ve operated their business in the same area for a minimum period of three consecutive years. These creditors will request to see your certificates of registration and copies of rent payment for the past 12 months. Expect to produce copies of your business utility bills to enhance your credibility. You’ll notice that this requirement hinders genuine online-based entrepreneurs from accessing these loans because they lack tenancy agreements and utility bills common in businesses with physical premises. You now understand that both banks and car dealerships determine interest rates based on debtors’ credit scores. A low credit rating attracts high-interest rates. If you’ve just come out of a rocky financial situation, it’s advisable to take two years to improve your current credit rating. Otherwise, obligating yourself to costly monthly installments can push you back into nasty debt traps. Consider applying for credit cards with higher limits. Why? Because a debtor’s credit limit accounts for 10 % of his or her total credit score. In addition, an increase in credit limit is an indicator of excellent payment histories and this is what creditors want to see before lending you a self-employed auto loan. If you want to get out of your loan fast, consider buying a car that’s well within your means. It’s easier to save up a cash deposit within a short time and any loan application fees. You also won’t need an extra job in order to fuel your car daily and pay auto insurance premiums on time. People who’ve never borrowed bank loans tend to fear consequences of nonpayment. That’s why some friends or relatives will feel hesitant about cosigning. On the other hand, you may meet a potential cosigner who tells you that they need a week or two to think about it. Smart car buyers start seeking for cosigners a few months before applying. This approach gives you enough time to drive to other cities where your relatives reside and make passionate appeals. The cosigner will also have enough time to gather their credit reports and bank statements. If you’ve just relocated to a new city, make sure you blend in fast. It enables you to meet and interact with the community, business, and political leaders. You need these people when a bank or creditor requires a recommendation letter before lending to you. You can start by joining the resident’s committee and attend meetings frequently. Make your presence known by asking questions and contributing ideas during interactive meetings. After the meeting, stick around and shake a few hands. Make sure you join local business networks and become an active member. In seasonal industries, some business owners refuse to bank their sales during off-peak seasons. Why? Because they assume that bank accounts should hold large amounts. So, they opt to operate from their cash registers and small safes located at home. This is a costly mistake because creditors will demand answers when your bank statements show blank entries for two or three consecutive months. It’s a clear indicator that you cannot pay auto loan installments consistently. Getting approved isn’t difficult because the government allows mainstream credit lending institutions to offer this service. You also determine the interest rates by implementing strategies that will help you to boost your credit score by a huge leap.